KnownHost specializes almost exclusively in VPS hosting options. They’re not the cheapest hosting option, by any means, but they do offer some unique features, like Linux managed VPS and dedicated server options. Founded in 1999, KnownHost has managed to stay pretty relevant in the hosting industry, despite cutthroat competition (see: Siteground, BlueHost, and Arvixe). KnownHost offers some cool features that you don’t always see in hosting companies (see the top hosting company rankings here). 1) VPS Specialists: Virtual private servers are a great way to protect your files, your company, and your business. That’s why KnownHost specialized in VPS hosting plans. If you want to have a plain shared hosting plan, you will have to find them elsewhere, because they aren’t offered by this provider. There are seven different plans that fit a range of budgets and resource needs. If you plan to have a ecommerce site that needs the security that a VPN offers, you’ll be excited to see the security options that are provided by KnownHost. It’s also a great idea for a business that will have a lot of secure files for your employees or customers. If you have a large traffic site or blog, you can easily scale your plan, or even upgrade to a dedicated server. The two main reasons for wanting a VPS are security and resources. You may not need as much bandwidth or disk space that’s offered by a VPS, but may need more security for your data than a traditional shared plan can give you. Likewise, if you’re looking for more resources, but don’t want to jump to a dedicated server, a VPS may be the best option for your website. 2) A la Carte Data: Developers and web masters don’t always know how many resources they’ll need from month to month and this can cause a problem if your hosting plan isn’t big enough. Although, having a plan that’s too big for your needs may mean unnecessary expenses. The ever-changing needs of site owners have led KnownHost to provide add-on resources that you can apply to your hosting account as you need them with no contract. There are several options including resource upgrades like RAM, HDD, IP addresses, and bandwidth. By adding the resources you need from month to month you can pay for them when they are needed and save the money when they aren’t. You can also add software upgrades like unlimited cPanel, Blesta, WHMCS, and Softaculous. Having these options means that you’re only paying for hosting and the options you need to succeed. If you don’t need billing software, you don’t have to pay for it. This flexibility keeps your costs lower and your site fast and secure with only what you need to make it work. 3) KnownHost Blog: Having a host is a lot like having a silent partner for your website. Without them, your files aren’t accessible to the world. Although, you still want to know that they are alive and well to keep your partnership going. One of the signs of life provided by KnownHost is their regularly updated blog. Not only do they regularly talk about their company goals, but it’s a great place to find tips and tricks to get the most out of your site. Posts on the blog cover a variety of topics in eight different categories. There are hosting and VPS categories to help you with your hosting. You’ll also find small business and blogging categories to help you polish up your ability to woo visitors into customers. WordPress users can take a look at the category that is set up just for them to help utilize the CMS better. Finally, there are hardware, internet and news sections that will keep you up to date on important information about the latest products or get in the loop on recent internet related news. Their VPS hosting is fully managed, so you know their support has to be on point, but it’s only offered through their ticketing system, or by email. It’s a US-based company, but customer service reps are sourced internationally. So if you rely on telephone support 24/7, not the company for you. 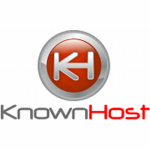 We looked over several online review sites to find honest opinions about KnownHost. We found these users are pleased with the speed of email response times. Not all reviews were positive, however. We found some KnownHost users upset with tech support and downtime. 1) Good Knowledgebase: KnownHost provides a very thorough knowledgebase for their customers as well as a download library full of useful manuals and software. 2) VIP Reseller Program: Customers who purchase multiple VPS and SSD VPS packages can receive guaranteed discounts with higher discounts the more you purchase. 3) Money Back Guarantee: There is a 30 day money back guarantee for dedicated hosting, but only for new customers. 4) Uptime Guarantee: KnownHost provides a detailed SLA which outlines their 99.9% uptime guarantee and under what circumstances in which you can expect a credit. 5) Specialized Options: There are seven different VSP options, five SSD VPS options, and four dedicated options so you can be sure to find exactly what you need. 1) Limited Support: KnownHost does not provide telephone or chat support. All customers must either use email or their ticketing system. 2) No Freebies: KnownHost does not offer any marketing ad credits and other features that may be included on other host providers are paid extras here. 3) No Domain Services: KnownHost does not offer domain registration or transfer services, you need to already own a domain before purchasing hosting. If your site has outgrown its shared hosting plan and needs a boost in resources or the security, you’ll enjoy the VPS plans that have been created by KnownHost. If you want a host that has multiple types of hosting plans to try out and choose, there are other options that are closer to what you desire. Wow, looks like you had a rough draw there.